Does Bank Competition Lead to Higher Growth? market do not harm long-run economic growth in a system without public safety nets. In this paper, Philipp Ager (University of Southern Denmark) and Fabrizio Spargoli (Erasmus University Rotterdam) ask two very topical questions. Does increased bank competition lead to higher economic growth? And, if so, how? Following the recent crisis, many have wondered whether the alternative to “too-big-to-fail” — having many smaller banks competing with each other — would necessarily be a better one. Clouding the debate has been the difficulty of finding appropriate historical settings in which to test the hypothesis that more competition leads to greater growth. In their paper, Ager and Spargoli focus on what they consider the best instance of intense bank competition without any implicit government bail-out guarantee: the American free banking era. Between 1837 and 1863 new laws were passed in a number of states allowing just about anyone to set up a bank, with very few requirements to fulfill. Until then, banks wanting to open needed a charter from their state, for which they had to meet relatively stringent criteria. As the authors show using a new quantitative analytical framework, the new laws greatly increased the creation of new banks in the states which passed them. As competition increased, however, a higher proportion of banks ended up failing. Could it still be the case that the introduction of free banking laws led to greater growth in those states? 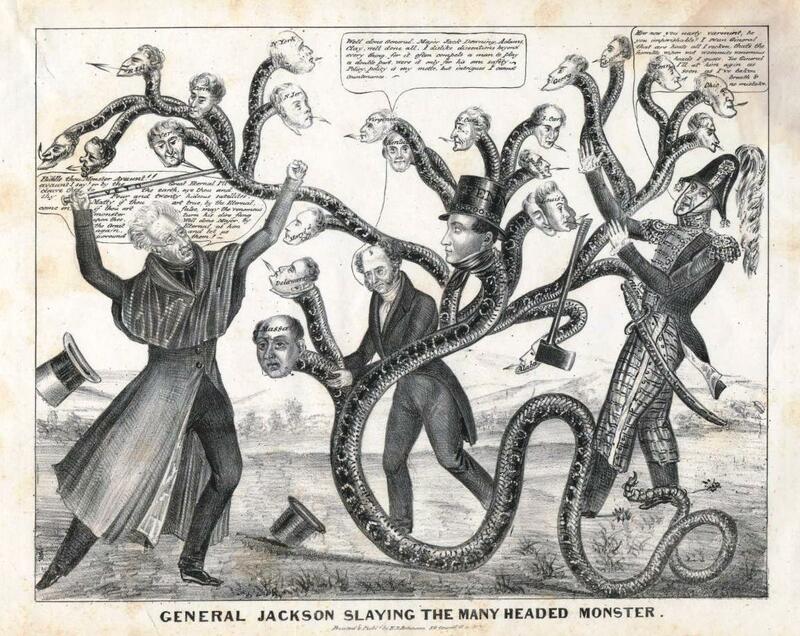 A satire on Andrew Jackson’s campaign to destroy the Bank of the United States and its support among state banks, 1836. It was partly to fill this gap that some states allowed free banking. The paper’s most important finding is that increasing competition among banks did lead to higher economic growth. Jaremski and Rousseau’s 2012 paper (previously reviewed in NEP-HIS here) found that a new “free” bank, as opposed to a charter bank, did not have a positive effect on the local economy. While this is an important finding in itself, it is also important to look at the effect of the introduction of free banking laws on aggregate bank behaviour, if only because the new entry of free banks may alter the willingness of charter banks to enter the market and their behaviour once in the market. Charter banks’ behaviour may in turn alter free banks’ behaviour, and so on. Interestingly, Ager and Spargoli’s study finds that in the aggregate, the acceleration in bank entry and resulting greater competition among all types of banks had a positive effect on economic growth. To arrive at this conclusion, the authors are careful to include a number of controls. First, there is the possibility that growth opportunities led some states to adopt free banking laws, in which case the authors would face a reverse-causality problem. Hence they conduct a county-level analysis in which they include time-invariant county characteristics and state-specific linear output trends (although perhaps it would be nice to see these output trends going further back in time than 1830). Second, they also control for other laws that states might have introduced at the same time as the free banking ones, which could potentially bias the results. Finally, they control for unobserved heterogeneity between states by examining contiguous counties lying on the border of states that introduced free banking. Their results are robust to these different specifications. Ager and Spargoli are of course also interested in where this growth came from. They find a positive relationship between the introduction of free banking laws and lending, and conclude that one of the main channels through which this increase in growth occurred was the increase in the availability of credit that greater competition fostered. This story is consistent with the finance-growth nexus literature, which argues that greater (and safer) access to credit is conducive to economic development. Although this seems perfectly reasonable, it would perhaps have been interesting to see when most of the failures occurred. If, for instance, they mainly occurred towards the end of the period under study, say around the 1857 panic, then it is possible that the negative effects of such failures on subsequent growth would not have been picked up by this study, since it ends in 1860. This leaves open the possibility that the positive relationship between free banking and increased access to credit was not a beneficial one for the economy in the long run. Loan growth (and asset growth more generally) is not always a good thing, as the recent crisis has tended to show. Overall however, Ager and Spargoli’s paper asks a very important question and offers a solid analysis. A natural next step would be to include output data on the periods preceding and following the free banking era, although the occurrence of the Civil War is an obvious obstacle to this study. Jaremski, M., and P. L. Rousseau (2012): “Banks, Free Banks, and U.S. Economic Growth,” Economic Inquiry, 51(2), 1603–21. This entry was posted in Economic growth, Money & Banking, USA and tagged economic history, financial crisis, financial history, free banking on 2014-04-29 by harrymclary. When did Globalization Actually Start? Abstract: This paper extends our previous work on grain market integration across Europe and the Americas in the eighteenth and nineteenth centuries (Dobado, García-Hiernaux and Guerrero, 2012). By using the same econometric methodology, we now present: 1) a search for statistical evidence in the East of an “Early Globalization” comparable to the one ongoing in the West by mid eighteenth century; 2) a study on the integration of grain markets in China and Japan and its functioning in comparison to Western countries; 3) a discussion of the relevance of our findings for the debate on the Great Divergence. Our main conclusions are: 1) substantial differences in the degree of integration and the functioning of grain markets are observed between East and West; 2) a certain degree of integration may be reached through different combinations of factors (agents, policies, etc.) and with dissimilar effects on long-run economic growth; 3) the absence of an “Early Globalization” in the East reveals the existence of some economic and institutional limitations in this part of the world and contributed to its “Great Divergence” with the West from at least the eighteenth century. NB: In January 2014, Chris Colvin and I started an experiment involving the use of Web 2.0 tools and third year undergraduate students. The aim was to incentivise active participation in academic exchange by reviewing recent additions to the broad literatures of business and economic history whilst following the same format as the NEP-HIS blog and limited to 1,000 words or less. The best entries are then published in the blog with minimal editing. This is the first of such entries. 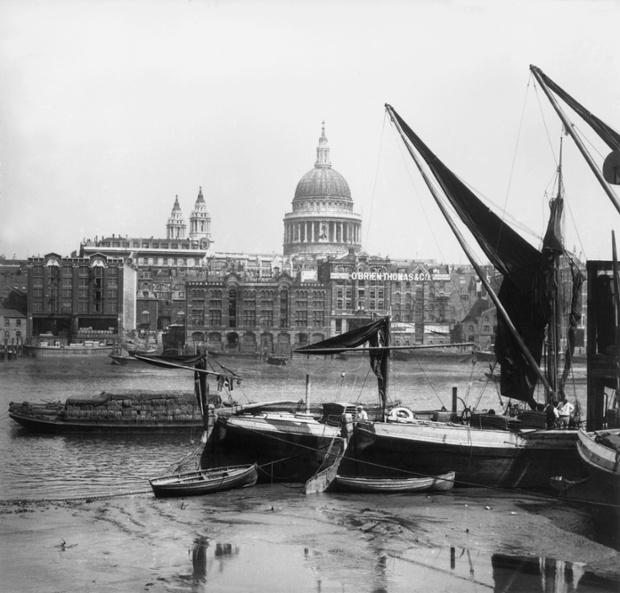 This paper examines the causes of early Globalization and the rise of the Industrial Revolution, analysing the divide between the East and West known as the ‘Great Divergence’. The literature suggests that globalization began steadily in the first half of the eighteenth century, taking off rapidly after the French Revolution and Napoleonic Wars and their aftermath. Once globalization ‘regained momentum’ it was supported by the rise in the Industrial Revolution across Europe and the US (Dobado-Gonzalez et al, 2013). De Vries (2010) separates Globalization into two categories, ‘soft’ and ‘hard’. Flynn and Giraldez (2004) claim that ‘soft globalization’ began when the ‘old world’ merged with the US back in 1571. O’Rourke and Williamson (1999) defined ‘hard globalization’ as the integration of markets across a geographical location. An earlier study by Dobado and Guerrero (2009) claims that literature has often ignored earlier influences of globalisation on economic growth and focuses more on the results after the Industrial Revolution from 1700s onwards. 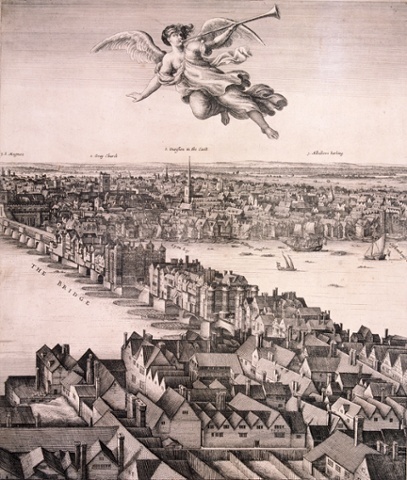 It cannot be disregarded that integration between countries across Europe was evident between 1500 and 1800 before the first Industrial Revolution began. It is from these early stages of market and trade integration across Europe that industry and globalisation developed. The paper also suggests that in the first half of the eighteenth century, the rise in the West was due to the fact that China and the East had little to compete with, leaving the gates wide open for the West to expand its operations. Additionally Dobado and colleagues focus on the impact of the dramatic expansion of foreign trade on economic growth within the West which has continued through to today. 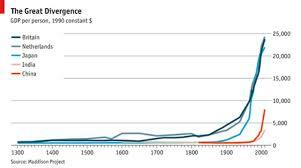 The paper also compares the differences and separation between the West and East during the first major economic growth in Europe between 1500 and 1800, known as the ‘First Great Divergence’. The authors suggest that the openness of the West resulted in dynamic trading across the Atlantic between the US with Britain and the Netherlands in particular (Dobado et al, 2013). The East however was not so far behind with the Opium Wars and the Silk Road increasing trade across Eastern countries moving towards the West which had never been done before. Nevertheless, before this point, the paper suggests that Eastern governments made one of the greatest economic mistakes in closing their economies, giving way to the ‘Great Divergence’ and ‘exceptionalism’ within the West (Dobado et al, 2013; Dobado and Guerrero, 2009). The restrictive trade policy practiced by the East is claimed to have prevented that part of the world from taking advantage of both direct and indirect benefits resulting from the expansion of trade during the Early Modern Era (Dobado et al, 2013). The paper recognises the absence of international grain market integration within the debate on the ‘Great Divergence’ and therefore seeks to examine the different markets within both the East and West. The paper found that despite geographical proximity and the easiness of transportation between China and Japan in the East, no statistical evidence of grain market integration is found between the two countries. This finding contrasts with the increasing expansion of trade in the West both before 1792 and after the 1840s (Dobado et al, 2013). As a result the East and West were dissimilar in terms of market integration both before and after the Industrial Revolution. Therefore this supports the concept of the ‘Great Divergence’ between the East and West and early Globalization presented direct and indirect benefits for the West which left the East to fall behind. In closing their economies in the Early Modern Era, governments within the East had committed what might be considered one of the biggest economic policy mistakes ever made, losing out on the greater benefits of early Globalization (Dobado et al, 2013). One aspect of the research which could be criticised is that the samples used for comparing the different grain markets in both the East and West are unequal, with twelve studied within the West, and eleven in the East (Dobado et al, 2013). This could suggest the results may be biased towards the wheat market within the West. In addition to this, the study works with “[…] long yearly data series covering most of the eighteenth and the nineteenth centuries for most markets” (Dobado et al, 2013, p.6). This could also alter the results as using the same data is critical for a fair analysis. Another valuable point to consider is that the only countries which gained from ‘Early Globalization’ in Latin America were Peru and Chile who traded wheat. It may also be beneficial to take into account cultural differences between the East and West at this time. The demand for wheat across Europe and the US would have been greater than the demand for rice from the East, causing further integration within the East. Based on the points discussed above, it is apparent that there is a strong divide between the economic activity within both the East and West before the Industrial Revolution gained momentum. Additionally, it is evident that Globalization was present within Europe between 1500 and 1800 with the integration of markets within the West. De Vries, J. (2010) ‘The Limits of Globalization in the Early Modern World’, The Economic History Review, Vol.63, pp 671-707. Dobado-Gonzalez, R., Garcia-Hiernaux, A., and Guerrero-Burbano, D. (2013) ‘West verus East: Early Globalization and the Great Divergence’, accessed 6 March 2014. Dobado, R. and Guerrero, D. (2009) ‘The Integration of Western Hemisphere Grain Markets in the Eighteenth Century: Early Progress and Decline of Globalization’, http://EconPapers.repec.org/RePEc:ucm:wpaper:09-09 Accessed 9 March 2014. O’Rourke, K.H. and Williamson, J.G. (1999) Globalization and History, Cambridge, MA: The MIT Press. This entry was posted in Economic Geography, Economic History, Globalization, Guest contribution, Guest entry, Student contribution and tagged economic history, globalization on 2014-04-21 by bbatiz. 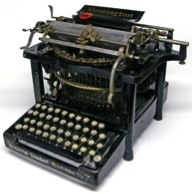 The paper reviewed here is another instalment in Neil Kay’s systematic exploration of the history of the QWERTY typewriter (see also Kay 2013a and 2013b). Through his work Kay questions the QWERTY typewriter as the primary example of how inferior design can become establish and create a path of dependency which will always be sub-optimal. The case Kay makes both in this paper and in earlier ones is that the design was in fact near-optimal for the state of knowledge at the time. In this paper he produces further knowledge that the designer made later efforts to refine the design using principles which show the designers’ advanced understanding of the concepts needed to produce an efficient design given the outcomes required (later definitions of efficiency were based on a different concepts and on different technology capabilities). Kay studies the work of designer Christopher Latham Sholes and how he refined his own design of typewriter designs. In 1872 he and his associates created the familiar QWERTY layout which is so familiar in many Western and English language countries. 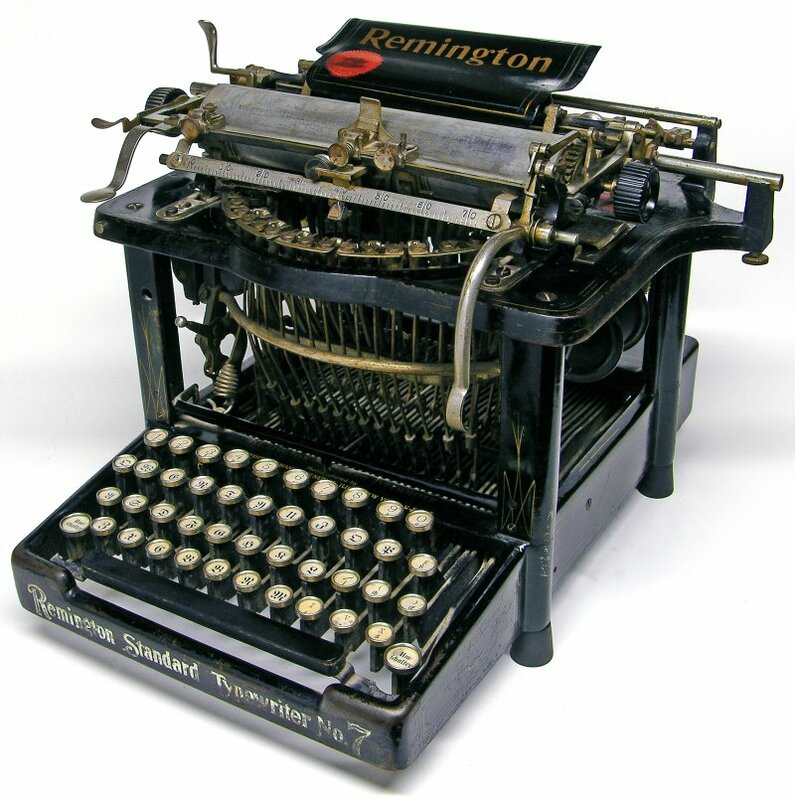 The design was bought by Remington in 1873 in a deal arranged by Sholes’ business partner James Densmore who also retained a financial stake in the QWERTY keyboard after Remington bought it. Kay shows the deliberate design concepts which lay at the heart of the QWERTY keyboard which then refutes some earlier works (such as David 1985) which claimed the design process for QWERTY and the eventual lock-in created was generated by random events and that the design was effectively accidental and a sub-optimal standard. The path dependency concept based on network externalities (typist unwilling to face conversion to another standard even if it were more efficient) maybe fair, but the design was not at that time accidental or sub-optimal. Kay shows by inference that Sholes work was more deliberate than may have been understood, primarily because Sholes was protecting his trade secret which was his understanding of how to avoid frequent letter pairs from occurring and jamming the early typewriter technology. In this paper he explores two patents issued to Sholes after his death and finds them as evidence that Sholes continued to improve his basic understanding, but continued to protect his knowledge. Like Kay’s earlier work this paper is highly detailed, looking at the available evidence, and analyzing the likely approaches used. It considers how, after Sholes sold his rights to the QWERTY typewriter, he continued to use his principles to develop an improved “perfect” typewriter, and how this was evidence that he knew more about the underlying principles than others have given credit to. The real challenge at the time was typebars jamming. Using a keyboard layout of ABCDE, it was known that too often there would be pairs of letters used which would jam the typewriter. The goal was to reduce these pairs to reduce jamming risk. Kay shows (2013a) that when typing the book Life of the Mississippi by Mark Twain, the Sholes Qwerty typewriter would have created 146 events where letters next to each other in the “typebasket” would have occurred and jammed. Others have argued (David 1985) that later designs of typewriter such, as the 1936 design by August Dvorak, were more efficient because they were faster. However, Kay shows that in the Life of the Mississippi test, the Dvorak design would create 2358 conflicting pairs. Kay points out that the comparison needs to be in era context. While later development was based on ten figure typing and efficiency focused on speed out output, Sholes’ era was one where two fingers of each hand was seen as optimal (and the reviewer here is certainly in this camp!!!) and the real challenge was one of the mechanical jamming or letter pairs. This paper extends Kay’s research to the period after the Remington company purchased Sholes’ design and when he then went on to try to develop the “perfect” typewrite. Frankly, these are detailed and intricate discussions. Kay studies two patents issued after Sholes’ death to show he was working further with infrequency principles for his improved QV typewriter, the ultimate version of which would have reduced the incidents of jamming pairs by 97.7% compared to the QWERTY design. It is the evidence presented by the “jigsaw” of the two patents supporting the QV typewriter which is the core the Kay paper, combining them to show Sholes had an advanced knowledge of the processes required to reduce conflict between letters. Kay believes Sholes split the patents into two separate ones so as to protect his trade secret as to how to prevent conflict through infrequency principles, a concept which in itself could not be protected under copyright. While the paper is maybe too detailed for most, and on occasion difficult to read without prior understanding of the issues, it serves as an interesting discussion paper on both how intellectual property was protect, even when the underlying principles could not be copyrighted and a lesson not to infer the efficacy of a technological solutions in the light of later technological capability. While the case for path dependency has been well made over the years and clearly make a great deal of sense, paths which have been founded on technology that is at its origin less than optimal are rare, maybe this is the reason the QWERTY keyboard has been so popular as an example as the thesis that its development was less than deliberate suggests it may have always been less than optimal. Kay’s forensic disputes this very. Kay generates evidence of a deliberate process by Sholes and his associates and while clearly the design could be refined (as Sholes tried) or replaced (as advocates of the Dvorak would argue for), it was nevertheless close to the optimal design at the time of development. For those interested in what has been a very long running debate about QWERTY, optimality and lock-in, a more in depth review of Kay’s work and the prior debate has been produced by Jean-Philippe Vergne (2013) in the journal Research Policy which certainly seems to have dedicated its existence to discussion the QWERTY typewriter!!! Kay, N. M. (2013a) “Rerun the tape of history and QWERTY always wins” Research Policy, 42:1175-85. Kay, N. M. (2013b) “Lock in, path dependence, and the internationalization of QWERTY. Strathclyde Discussion Papers in Economics, no 13-10, http://www.strath.ac.uk/media/departments/economics/researchdiscussionpapers/2013/13-10FINAL.pdf (accessed 14 April 2014). This entry was posted in Standards and tagged intellectual property, path dependency, typewriters on 2014-04-16 by bbatiz. Abstract – The Mexican banking system has experienced a large number of transformations during the last 30 years. Although important regulatory changes were introduced in the 1970s, all but a couple of the commercial banks were nationalized in 1982, consolidated into 18 institutions and these were re-privatized in 1992. Shortly after, a balance of payments crisis in 1995 (i.e. 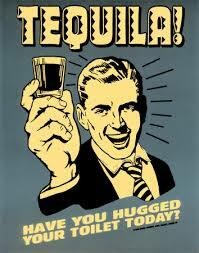 Tequila effect) led the government to mount a financial rescue of the banking system which, in turn, resulted in foreign capital controlling all but a couple of institutions. Each and every one of these events was highly disruptive for Mexico’s productive capacity and society as a whole as their consequences have had long lasting effects on politics, regulation and supervision of the financial sector as well as polarising society. Not surprisingly the contemporary narrative accompanying these events has been highly controversial and full of conflicting accounts, with competing versions of events resulting in a long list of misconceptions and “urban legends”. This entry departs from our usual as it fails to discuss a specific paper circulated by NEP-HIS. Instead I comment and reflect on a public lecture, that is, another common medium we use to communicate our research. 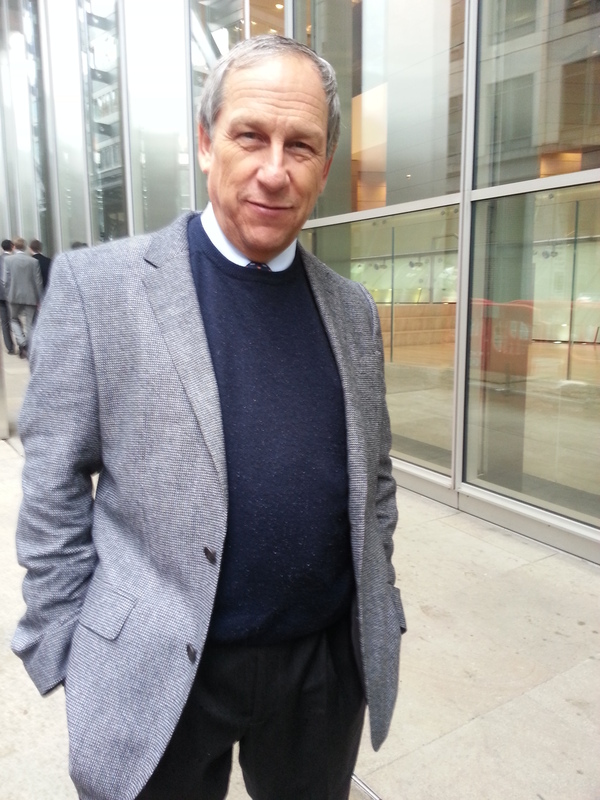 The lecture build around two multi volume books and three DVD’s, and was delivered by Enrique Cárdenas (Executive Director of Centro de Estudios Espinosa Yglesias or CEEY) at Bangor Business School’s London campus on 2014-04-07. The actual publications are available, by the way, in hard copy from CEEY’s book store and in electronic version from Amazon.com.mx, as well as following the links to videos below and the link to the full podcast of the presentation above. The chief aim of this project is to offer new evidence on the process of nationalisation (1982) and privatisation (1991-1992) of Mexican commercial banks. These two episodes of contemporary financial history had important rippling effect on Mexican society, politics and macroeconomic performance. They also had global consequences, first, as they mark the start of the so-called “International Debt Crisis” after Mexico informed of a payment moratorium of sovereign debt in August 1982. Secondly, the ratification of Robert Rubin as the 70th US Treasury Secretary (1995-1999) together with Ernesto Zedillo taking office as 54th President of Mexico (1994-2000), led to a political power vacuum and impasse in economic policy making between the Autumn of 1994 and early Winter of 1995. Known in the vernacular as the “Tequila Crisis”, in December 1994 Mexico devalued its currency and this led to instability in international foreign exchange markets and accelerated the exit of portfolio investments from a number of other countries (most notably Argentina and Brazil). By this point in time, Mexicans had fought hard during negotiations with the US and Canada to keep the banking system out of the North American Free Trade Agreement (NAFTA). But this exception was lost in the aftermath of the “Tequila Crisis” while the subsequent bailout of the newly privatised banks represented a precedent missed by US and British regulators of what would happen, on a much bigger scale, during the 2007-9 financial debacle. Cárdenas’ analytical framework is based on Stephen Haber’s ideas of co-dependence between political and financial spheres. Cardenas’ evidence-based approach is certainly welcomed. But more so as he tackles head on with the issue of periodicity and method. Specifically whether and how to write accurate and meaningful economic history using of oral sources in the recent past. Revisiting and unpacking method and methodology are topics not far from current debates in business history, as has been portrayed in previous posting in the NEP-HIS blog (click here); the forthcoming panel on oral histories and World War I at theEuropean Association for Banking and Financial History (EABH) meeting in Rüschlikon, Switzerland; recent and forthcoming publications in refereed journal articles by Stephanie Decker and colleagues (see full references below); and JoAnne Yates’s contribution to the edited book by Bucheli and Wadhwani (2014) (as well as their panel on the latter publication during the recent World Business History Conference in Frankfurt). Indeed, one of Cárdenas’ and CEEY trustees’ chief motivations to engage in this research was to listen to what major players had to say while they were still alive. Cárdenas was not limited to oral sources. He endeavoured to gather surviving but uncatalogued documents as well as the construction and reconstruction of statistical data series to complement historical analysis. Actors were of the highest standing in society including former Presidents, Mexican and foreign Treasury ministers, senior staff at multinational financial bodies, past and present senior bank executives, regulators, economic academic advisors, etc. To deal with historians mistrust of recollection and potential bias, Cárdenas sent in advance a questionnaire split in two sections: one aimed at enabling a 360 degree perspective on key moments; and the second, made out of questions tailored to the participant’s office and status during the event. All participants were informed of who else would take part of the discussions but none were shown others’ responses until all were collected and ready for publication. The risk of being “outed” thus resulted in only a handful of contradictions as participants preferred to declined answering “painful” topics than stretching the “truth”. Meetings were recorded, transcribed, and compared against statistical data. The latter would either strengthen the participant’s argument or was returned to him with further queries. Several iterations resulted in each participant embracing full ownership of individual texts and thus effectively becoming an author of his entry. It’s this process of iterations and guided discussion to which Cárdenas refers to as “testimonials”. As mentioned, the result of the CEEY’s sponsored research by Cárdenas was two multi book volumes and three documentary videos all of which, as illustrated by the links below to trailers and video documentaries below, have been edited but have no narrators. All views are expressed by the main actors “so that viewers can draw their own conclusions” said Cárdenas during his lecture. By publishing a large number inconclusive outputs based on “testimonials” the CEEY, and Cádernas as his Executive Director, aim to offer a new empirical source for others to include in their own analytical work and come to their own conclusions. Indeed, CEEY’s publications also include a number single author monographs and the commissioning of edited collections by academic authors who have used the testimonials as part of their evidentiary repertoire. But does Cárdenas have any conclusions of his own? For one, he believes the effort to generate and document events through testimonials and new statistical material results in a much more balanced approach to assess the limited options President López-Portillo had at the end of his term in office. 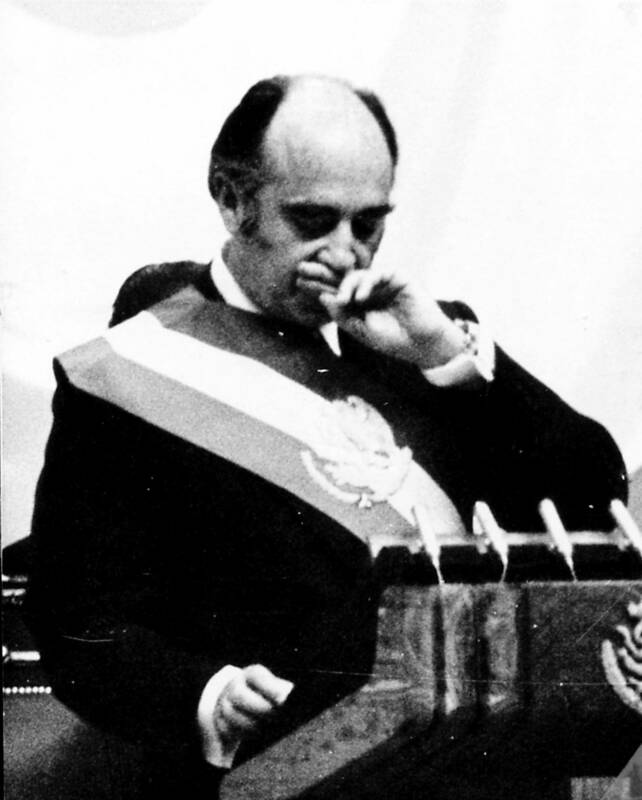 For starters in 1981 he was to nominate on his successor ahead of elections (“el dedazo”). The events that followed were to become the beginning of the end for the one party rule that characterised Mexico during most of the 20th century. At this point in time, Mexico had experienced four record years of strong economic growth. Never seen before and never to be seen since. Its oil production was doubling each year but its international debt was skyrocketing (particularly that of short-term maturity in 1981-2). But as international oil prices begin to drop, Mexico followed an erratic behaviour (reducing and then raising its oil price) while oil revenues generated 35% of fiscal income and 75% of exports. Moreover, prices for other Mexican exports also fell while a practically fixed-rate parity with the US dollar meant a strongly overvalued peso. A devaluation was followed by a massive increase in salaries. And in the midst of political jockeying and an accelerating worsening of public finance, the President (a lawyer by training) was, according to Cárdenas, to receive conflicting and contradicting information (Cárdenas calls it “deceiving”) on the actual size of the public deficit (which was to double from 7% of GDP in 1981 to 14% of GDP in 1982) as well as the merits of defending the Mexican peso vs US dollar exchange rate (which he publicly claim to “defend like a dog [would defend his master]“. This conclusion sheds a significant amount of light on the decisions of late former President López-Portillo. As much as also help to better understand the end of some otherwise promising political careers. The narrative of actors bring fresh light to understand the break up between Mexican political and business elites, which eventually results in the end of the one party rule in the presidential election of 2000. It also helps to explain the break up of the rule of law during the next 15 to 20 years in Mexico as well as the loss of the moral authority of its government. Cárdenas and CEEY have certainly produced a piece that will resist the test of time. They offer a unique effort in creating contemporary financial history while building from oral sources, privileged access to main actors and in this process, developing an interesting method to deal with concerns around potential bias. Given the passion that the topics of nationalisation and privatisation still generate amongst Mexicans and scholars of modern day Mexico, it is understandable that the analysis has emphasised idiosyncratic elements of these events. But somehow links with wider issues have been lost. For one, nationalisation or sequestration of assets (whether of local or foreign ownership) characterised the “short” 20th century. Nationalisation is one side of the coin. The other is public deficit reduction through the sale of government assets. Indeed, the privatisation of Mexican banks between 1991 and 1992 enabled to finance about half of the reduction of Mexican sovereign debt (though the massive rescue that followed practically annulled that reduction). Mexicans were not inmune to Thatcherism to the same extent that a reduction of the state in economic activity (whether real or not) was and is part and parcel of the “second” globalisation. In summary and in Enrique Cárdenas own words: “Writing current (economic) history is not only possible, but highly desirable!”. We welcome his contributions to enhance empirical evidence around such important events as well as offering a way to systematically deal with oral sources. Yates, J. (2014) “Understanding Historical Methods in Organizational Studies” in M. Bucheli and R. D. Wadhwani (eds.) Organizations in Time : History, Theory, Methods Oxford: Oxford University Press, pp. 265-283. Decker, S. (forthcoming) “Solid Intentions: An Archival Ethnography of Corporate Architecture and Organizational Remembering”, Organization. Decker (2013) “The Silence of the Archives: Postcolonialism and Business History”, Management and Organisational History 8(2): 155-173. Rowlinson, M. Hassard, J. and Decker, S. (forthcoming) “Research Strategies for Organizational History: A Dialogue between Organization Theory and Historical Theory”, Academy of Management Review. Note: with special thanks for helpful comments to Sergio Negrete (ITESO) and Gustavo del Angel (CIDE). This entry was posted in Analytic Narratives, Analytical Narratives, Business history, Conference or presentation, Economic History, Institutions, Method & Epistemology in History, Money & Banking and tagged banking, business archives, business history, Latin America, method, methods of economic history, money on 2014-04-10 by bbatiz.